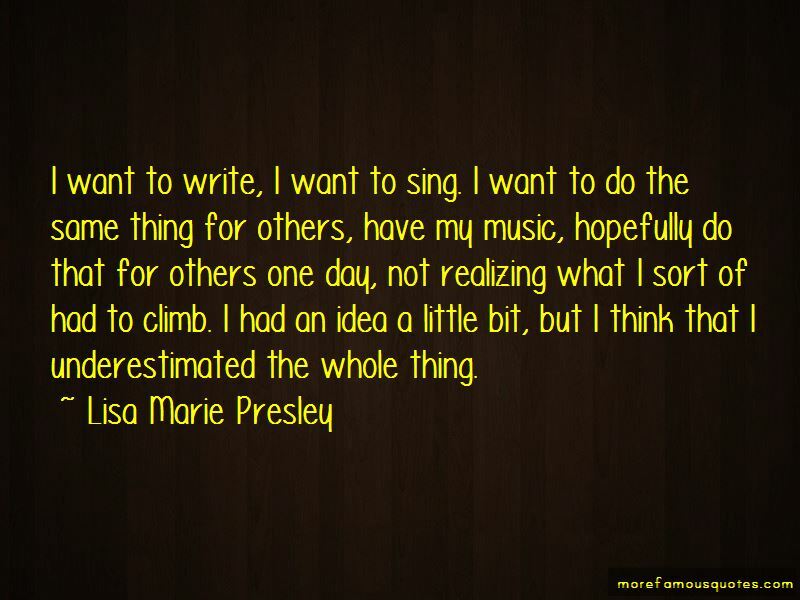 Enjoy the top 74 famous quotes, sayings and quotations by Lisa Marie Presley. 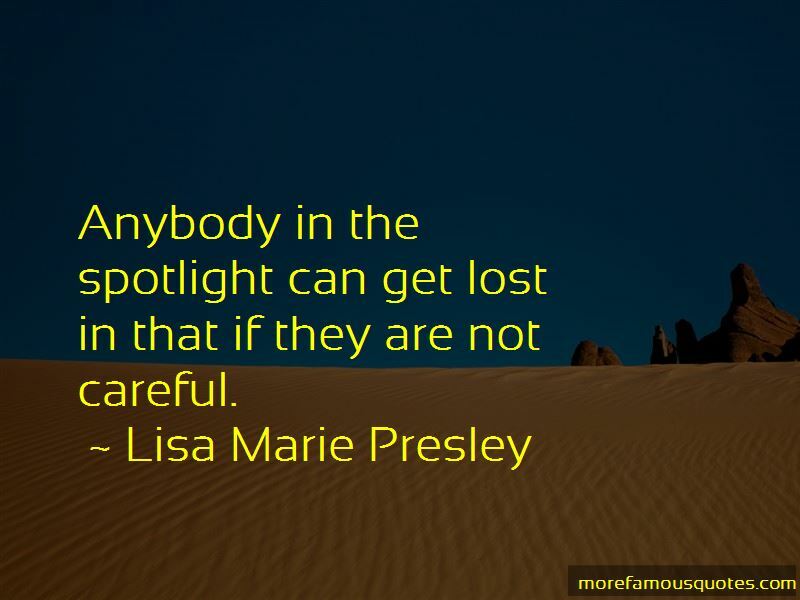 Anybody in the spotlight can get lost in that if they are not careful. You are always learning; there is a lot of grey; don't take things for granted. I don't do yoga. I bite the hella outta my nails. I smoke, I eat all the wrong food, I don't exercise. I grew up in the South with my father; blues and country, that's always been my core. But I had it in me not to do what was expected. I wanted to find my own footing. I live with the things that I love: art, furniture, and objects that I have collected throughout my travels. With a lot of hair and make-up then I'm possibly, remotely attractive. But it's rare, I don't think I'm ugly but I'm nothing particularly special. I'm not a yoga and health girl. I don't exercise that much and I eat crap and smoke and bite my nails. I absolutely refuse to bare midriff. 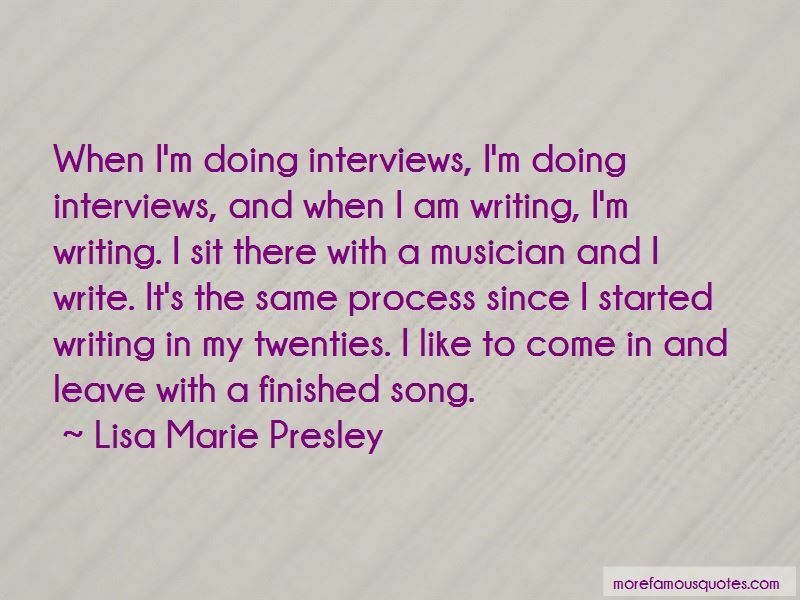 Want to see more pictures of Lisa Marie Presley quotes? 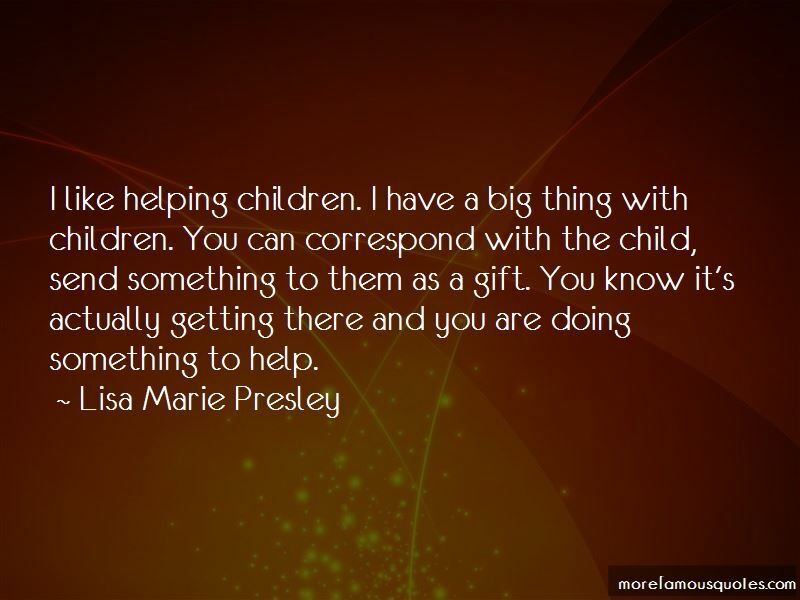 Click on image of Lisa Marie Presley quotes to view full size.